It's been a funny old spring this year. Somehow I just don't seem to have got a grip on or felt part of it, almost as if events have played out around me but I've never quite been able to tag along for the ride. 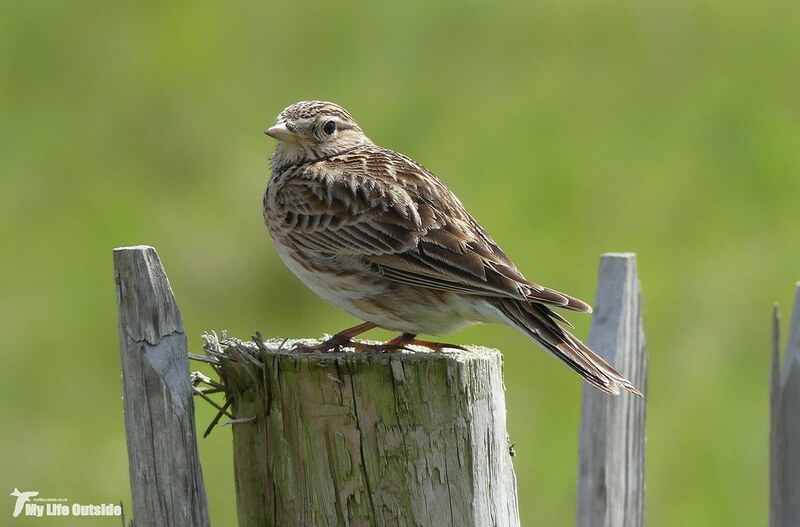 Our fortnight on Mull undoubtedly had its part to play, leaving home just as the first migrants started to arrive only to find ourselves thrust back into the depths of winter before returning to a landscape literally dripping with Willow Warblers and Chiffchaffs. Even then spring migration continued to be a stuttering affair with things only really picking up towards the end of April, our limited spare time totally insufficient to get out and see even a percentage of what was going on. Clearly decisive action was needed so at the beginning of last month (where the hell has June come from!!) we put everything else aside and spent two days getting stuck into spring proper. That first morning was simply glorious. 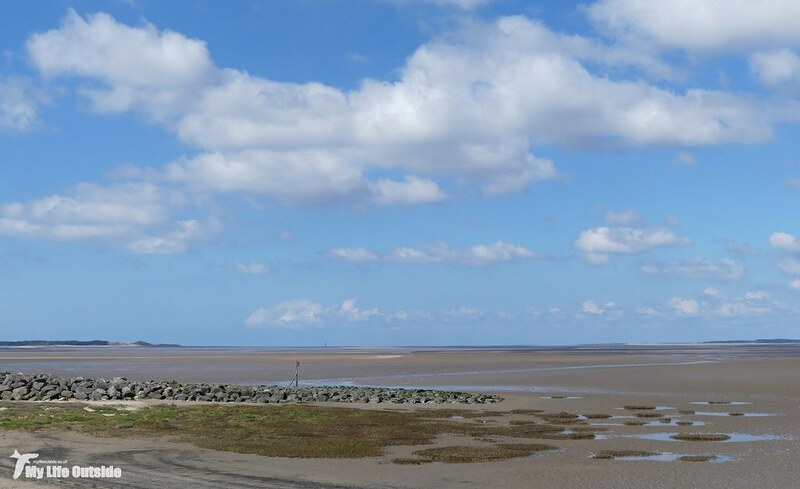 Warm, sunny and, best of all, completely not what the weather forecast had promised. Over the sound of lawns receiving their first cuts of the year we could hear Chiffchaffs and Willow Warblers at full chat, a continual backing track on our way down to Machynys. 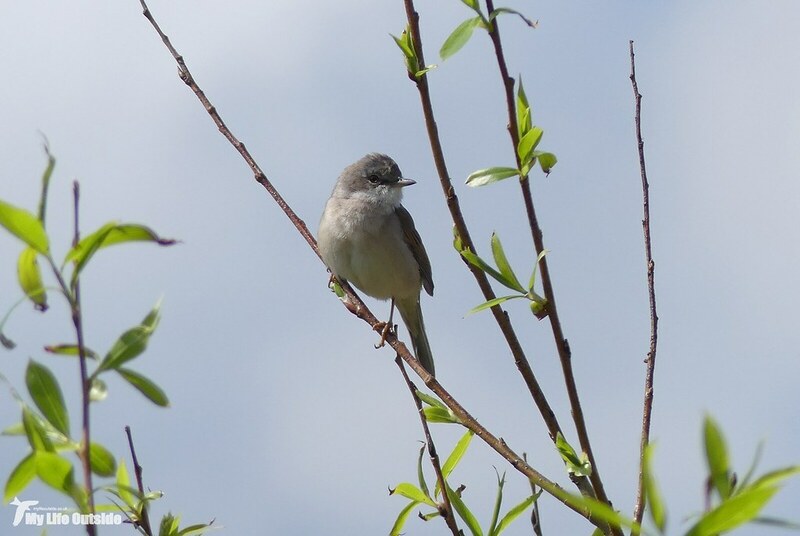 There it took only a moment to spot our first target species of the day, a male Whitethroat perched high in a patch of Brambles, his scratchy song a very welcome sound indeed. There were at least another couple of males in the vicinity and as territorial displays continued it seemed that concern for skulking photographers was not top of their agenda allowing some great views to be had. 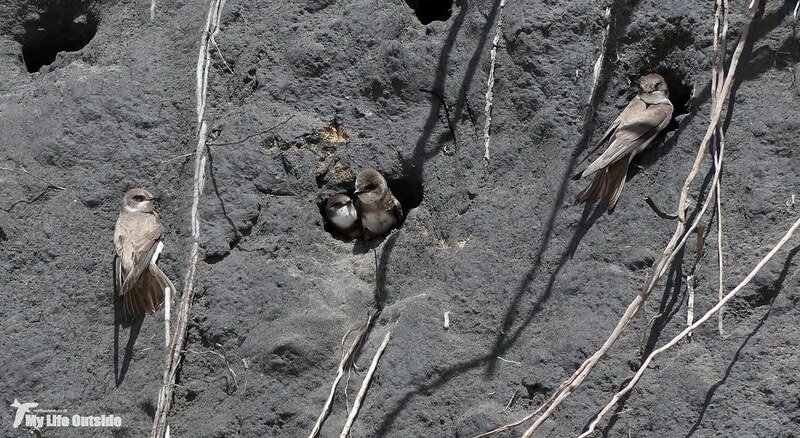 Leaving them to it attention next turned to the small flock of House Martins which were alternating their feeding between beach and golf course, presumably with one eye on the seafront residences as potential nesting sites. At times we found ourselves surrounded as the birds darted this way and that, a pleasant reminder of just how much more alive our sky will be for the next few months. 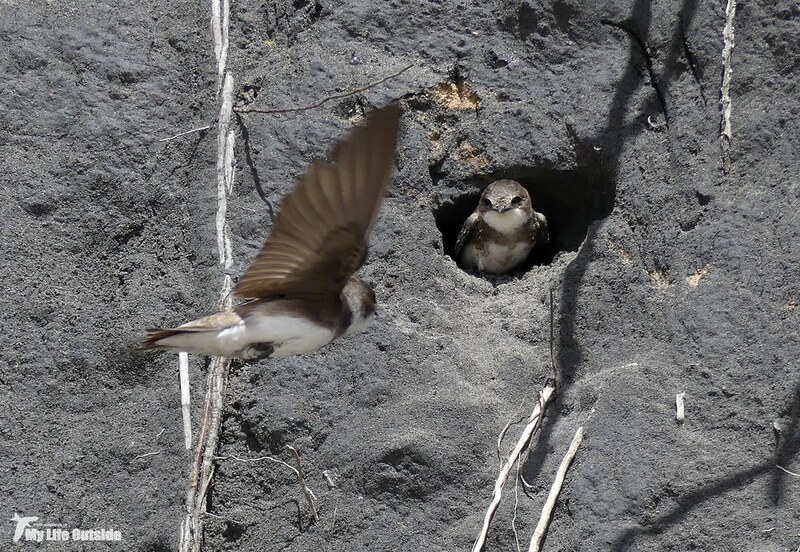 Not to be outdone a couple of Swallows joined the party briefly but no Swifts as of yet. Down on the breakwater I was hoping for a Wheatear and ended up finding two but both remained steadfastly elusive despite my best efforts. 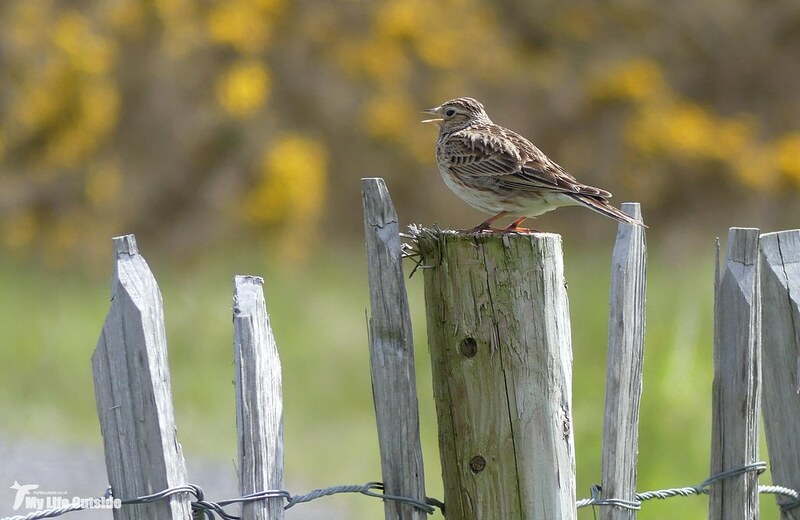 I had much better luck sneaking up on this Skylark however, perched on a fence post and in full song. 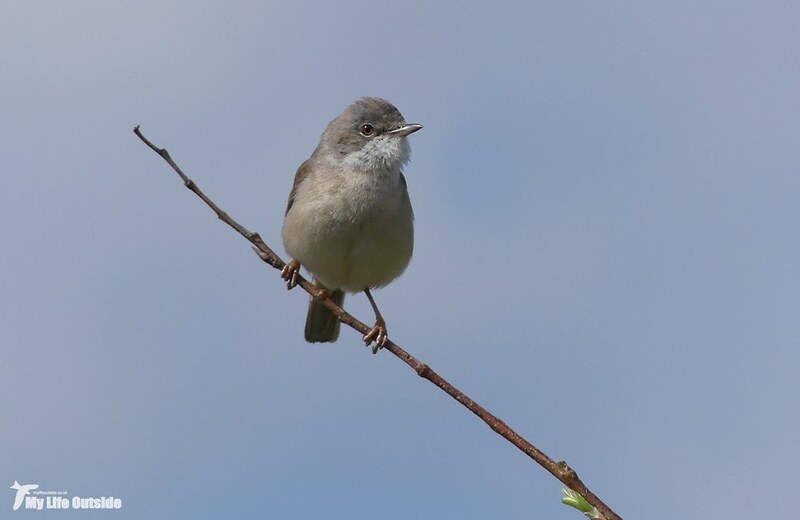 More Whitethroats greeted our arrival at the pond as did a burst of Cettis’s Warbler song which was met by another from across the water. Perhaps unsurprisingly waterfowl numbers were pretty low with only small numbers of Tufted Duck, Gadwall and the ubiquitous Canada Geese present. Not to worry as skulking through the undergrowth on the far bank we managed to pick out our first Sedge Warbler of the year, its presence another step on our ascent from the depths of winter. 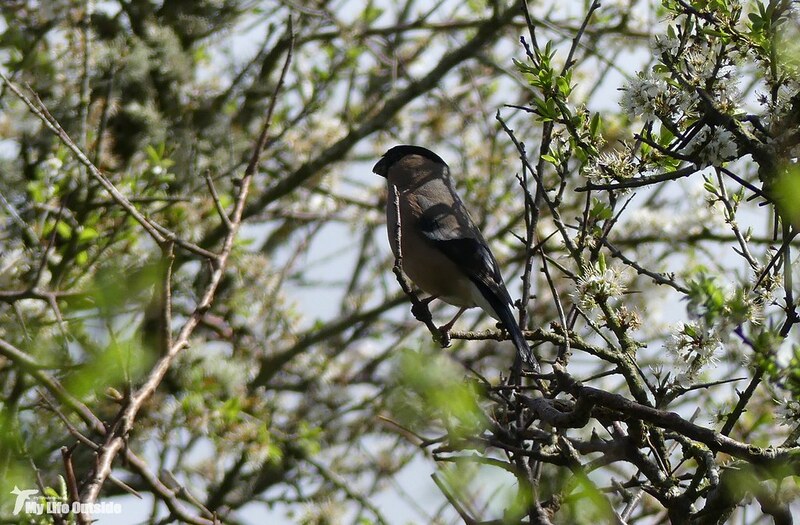 More action was to be found in the strand of tress just behind where at least four Blackcaps were busy feeding. Keeping them company were a whole host of other species including the first Willow Warbler of the year I’d actually seen as opposed to heard as well as a pair of Bullfinches and several noisy Goldfinches. I never managed to get anything particularly stellar photo wise but it was a wonderful way to spend half an hour. Our next stop was just up the coast at Tywyn Bach, soon to be another regular haunt now that the days are getting longer. 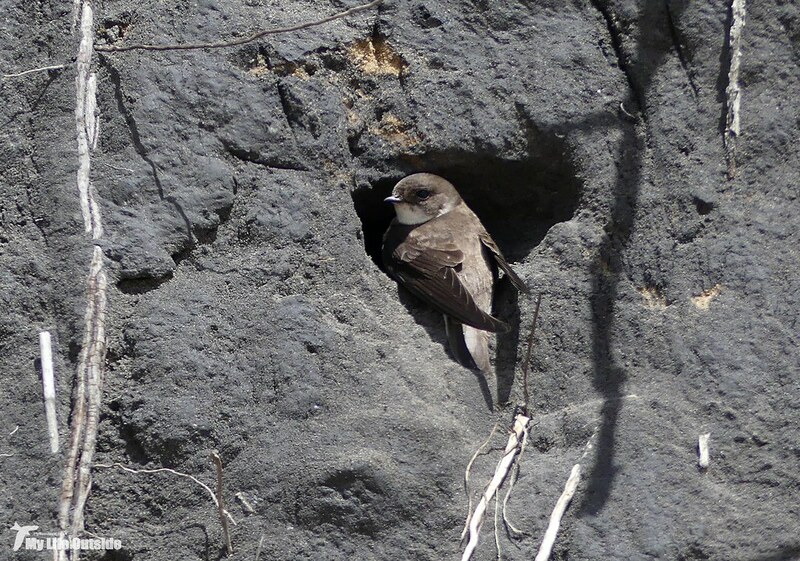 Over the last few years a sizeable Sand Martin colony has developed in a section of eroded cliff there and it was brilliant to find them back once again. 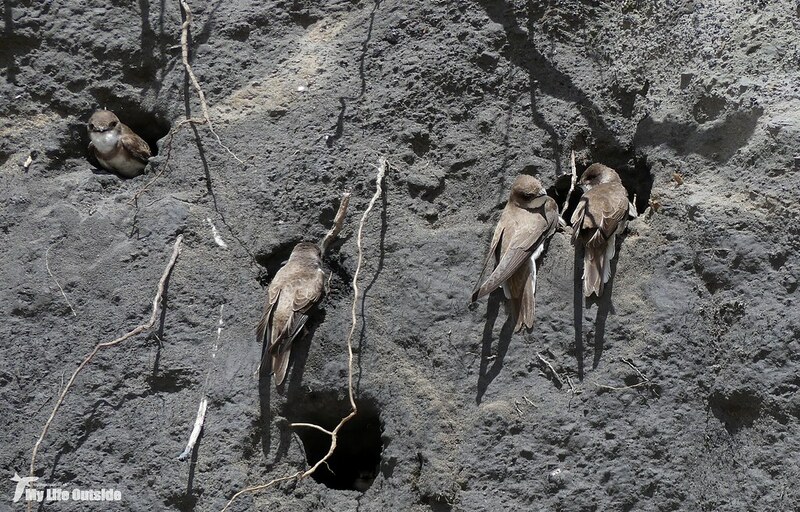 My rough count put the current population at around sixty to seventy individuals and most were already pairing up, clearing out existing holes or feeding down on the beach. The usual assortment of Oystercatchers and Curlew were to be found out on the exposed mud but my hopes for a first Whimbrel or Common Sandpiper came up short. By now conditions were starting to look decidedly changeable with dark, menacing clouds looming over the Burry Inlet. Even so we decided to chance our luck one more time and drove up to Mynydd Mawr Woodland Park. 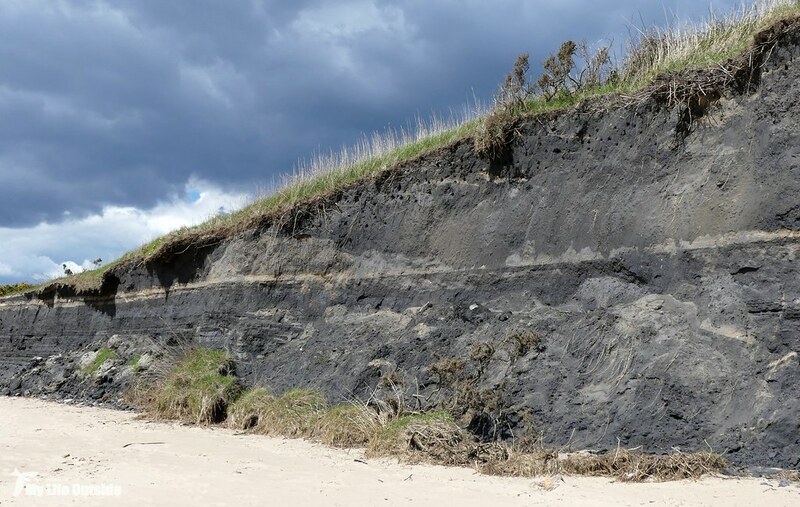 My last visit there was several years ago now but the reclaimed spoil tip still provided an enjoyable ramble. Mistle Thrushes seemed particularly numerous as they rattled their way overhead with Green Woodpeckers also in fine voice. This area is supposed to be good for Skylarks too and indeed we did see and hear a couple displaying though nowhere near the numbers I was expecting. Perhaps a sunnier day would yield better results. We made it back to the car just in the nick of time as heavy raindrops began to fall, yet only a mile later we were once more enjoying blazing sunshine. And hasn’t that been the real story of spring this year, changeable and unpredictable in equal measure.